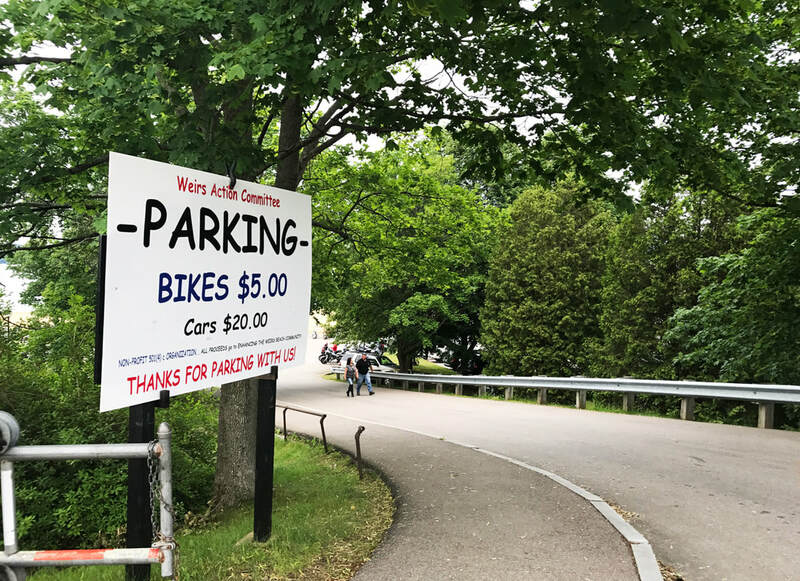 During Laconia Motorcycle Week, the Weirs Action Committee operates the Endicott Rock Parking Lot at Weirs Beach. This is WAC's major yearly fundraiser. We welcome all visitors to Laconia Motorcycle Week to park at the beach. It's very convenient, as it's at the center of all the action. You can walk over to the boardwalk and Lakeside Avenue in a minute, or up to Endicott St N (Route 3) just as quick. Meanwhile, you can enjoy the amenities at the beach before or after you check out the action. Parking is $5 for bikes and $20 for cars.